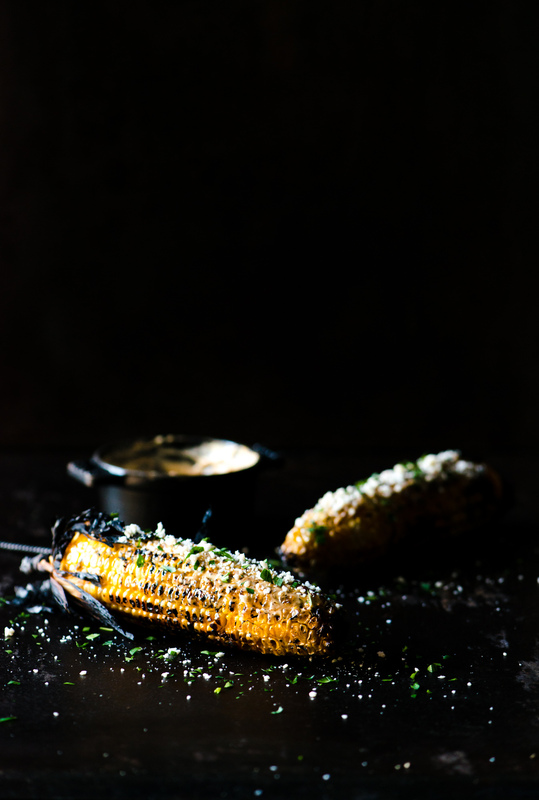 Toss that butter out, and try this delicious mayonnaise based recipe, for Mexican style street corn. Combine ingredients in a bowl, adjusting to taste. 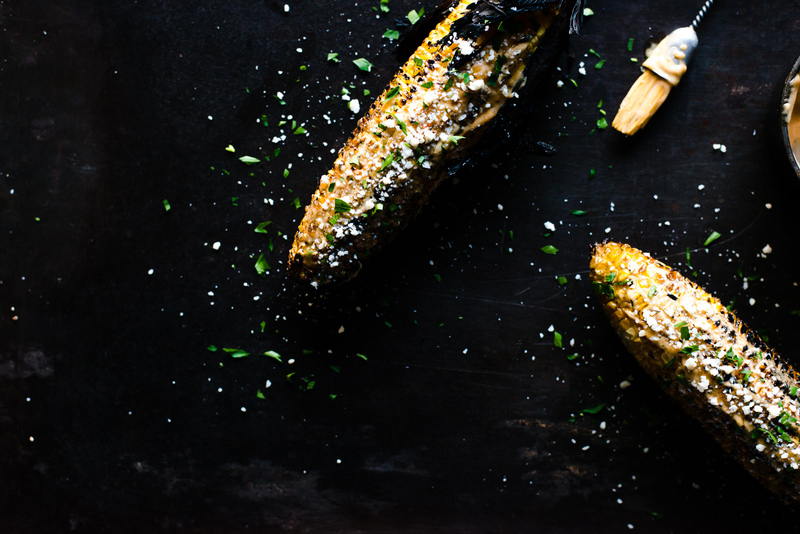 Brush lightly on corn, grilling on medium-high heat until cooked, about 8-10 minutes. Once cooked, brush corn with the leftover mayo mixture, sprinkle with crumbled queso fresco, chopped cilantro, and serve. Often, recipes will recommend soaking your corn before barbecuing, which you can totally do. 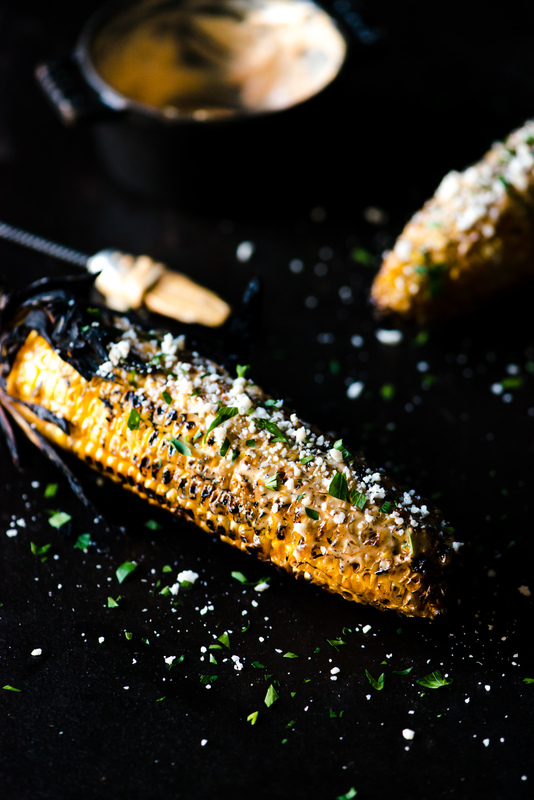 If you’re feeling adventurous, just toss the corn on the grill, let the husks burn off, giving the corn some extra charred and smoky flavour. Want to host your own Mexican Taco Night? This looks amazingly delish! Super YUM! Thanks Anu! It is so delicious. Totally agree with you.. corn, butter (and salt) is AMAZING. I love all the zesty and herbed goodness going on in this Mexican Street Corn and have to make it! You can’t beat a classic, but this is pretty close! Thanks Corinne! Now I can say I know some Spanish ;). This corn looks very delicious! Beautiful pictures!! It was fantastic, Savita! Thank you :).